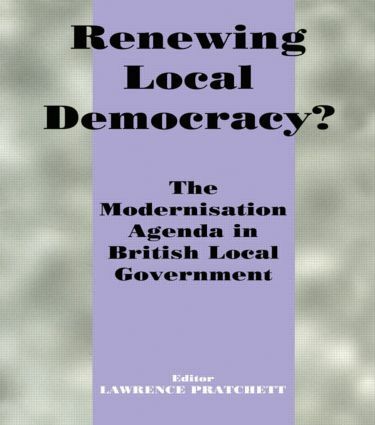 Bringing together research on different features of the democratic renewal agenda to investigate how local authorities are responding, this text includes a contribution from the main architect of the modernization, Local Government Minister Hilary Armstrong. Public Participation and the Democratic Renewal Agenda: Prioritisation or Marginalisation? Rebuilding Trust in Central/Local Relations: Policy or Passion?